Augmented reality has the potential to help bridge the skilled engineer gap, simplify maintenance processes and offer expert guidance to newly qualified technicians from hundreds of miles away. A recent ICAO report said that in the next 20 years, airlines would have to add 25,000 new aircraft to keep up with rising air passenger demand. But a lack of skilled engineers to maintain these aircraft is not only threatening airline profits, but also aircraft safety. Kevin Deal, VP of Aerospace & Defense at IFS, discusses how augmented reality has the potential to solve this crisis, as well as being able to cut maintenance time and costs. According to the Transport Canada licensing department, 46% of aircraft mechanics in the country are between the ages of 50 and 79. Impending retirements, a lack of newly trained engineers and advanced skill requirements make for a challenging forecast that will only get worse unless drastic changes happen. New technology could be the key to this. Already a big hit in the consumer world, augmented reality has the potential to help bridge the skilled engineer gap, simplify maintenance processes and offer expert guidance to newly qualified technicians from hundreds of miles away. Engine MRO specialist TAE has already predicted a need for such technology by developing a wearable augmented reality system called fountx that enables remote experts to support technicians in real-time. The rising passenger demand for air travel has resulted in a global expansion for airlines, but maintenance expertise is struggling to keep up. The Middle East and Asia-Pacific regions, in particular, are seeing huge growth in aircraft procurement. Both regions saw year-on-year growth of more than 10% in air passenger demand in 2016, eclipsing the growth in demand of North American and European carriers. According to Boeing, the Middle East and APAC regions also took the most deliveries of large and medium wide-body aircraft in 2015 — an indicator of the serious fleet expansion and modernization of airlines. In addition, as western military air forces have reduced warfighter numbers in support areas, the traditional pool and outflow of mid-career engineers into more stable commercial careers is rapidly reducing. There is a lag of some 5 years to get a B1 or B2 EASA license as a qualified aircraft engineer. In many countries, there simply is no training infrastructure yet to drive this. Even in the United States, it can take up to eight years for a maintenance professional to become fully licensed. Most of this time needs to be spent doing on-the-job training and classes, which can further be delayed by difficulties in providing access to the practical EASA Part 145 training. With a highly regulated industry such as aviation MRO, tasks are qualification-oriented. Specific training enables engineers to do specific jobs on specific aircraft. The result is a global shortage of maintenance professionals, particularly in the APAC, Middle East and the more remote locations serviced by Western airlines. At last year’s Airline Engineering & Maintenance Middle East Conference, the newly formed management consultancy joint venture between the Abu Dhabi Aviation and U.K.-based jcba Limited ADA Millenium’s managing director, John Bowell, predicted Middle East aircraft maintenance would require 11 million man hours per year. The first Emirates Airbus A380 overhaul required a round-the-clock 55-day maintenance program. To put this into perspective, Ashley Davies, senior lecturer of aircraft maintenance at Abu Dhabi Polytechnic, also discussed resource shortages at the same conference — reporting only 342 UAE nationals were licensed as aircraft engineers. In commercial aviation, routes are evolving so fast that operational hubs are both expanding and globally dispersing. In Europe and North America, major airports are supported by a wealth of qualified engineers and facilities to get aircraft back in the air as soon as possible. There are also established networks of third-party MRO providers. In other geographies, where many are experiencing rapid growth, there is no such pool of maintenance engineers. If an airline is to expand its network or an aircraft is forced to land in remote locations, the challenges of being able to quickly return it to operational status are a lot more complex. Maintenance operators are faced with three options: position maintenance engineers to aircraft routes; the “fix-when-required” approach; and augmented reality. An option for commercial aviation operators is to strategically place more qualified engineers on the ground across global flight paths, either indigenous or contracted third party – but that is unrealistic in most cases. The average annual pay for one aircraft maintenance engineer is $50,000. You need both senior and junior engineers as well as managing shift patterns. There are also the overheads to provide human support in more remote areas in terms of travel, accommodation and expenses, not to mention the maintenance facilities required. Should airlines risk leaving an aircraft sitting idle in a remote location and fly a qualified engineer out to fix it on a case-by-case basis? This would possibly be feasible on busier routes close to global airport hubs, but fully qualified engineers are already in scarce supply. In extreme circumstances, if an aircraft must land in a remote location it may take several days of travel for a suitably qualified maintenance engineer to reach the aircraft. Boeing estimates that, depending on the operator and age of an aircraft, an aircraft on ground for one or two hours can cost anywhere between $10,000 and $150,000. When returning an aircraft to operational status, time means money – the further an operator can spread its maintenance engineers, the less dollars it loses. Using remote guidance via a wearable or mobile device, engineer skills can be augmented as more qualified technicians provide expertise from any location at any time. Virtual reality simulation can even speed the training process itself. At the 2016 MRO Europe conference in Amsterdam, ICF International VP Oliver Jonathan Berger predicted virtual reality could shave one or two years off traditional maintenance engineer training programs. 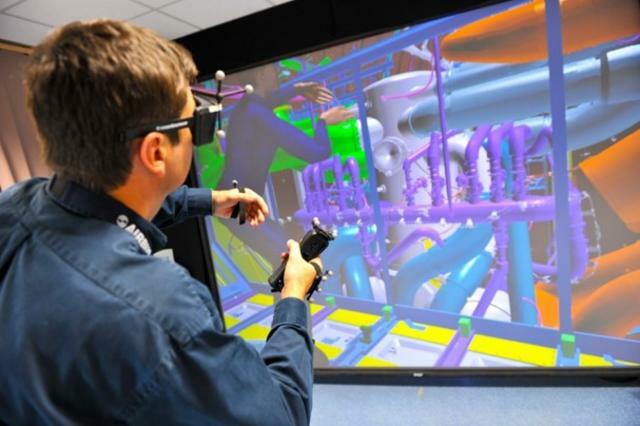 Augmented and virtual realities could be of particular interest to MROs in the coming years in reducing training times, improving maintenance efficiency and cutting costs. 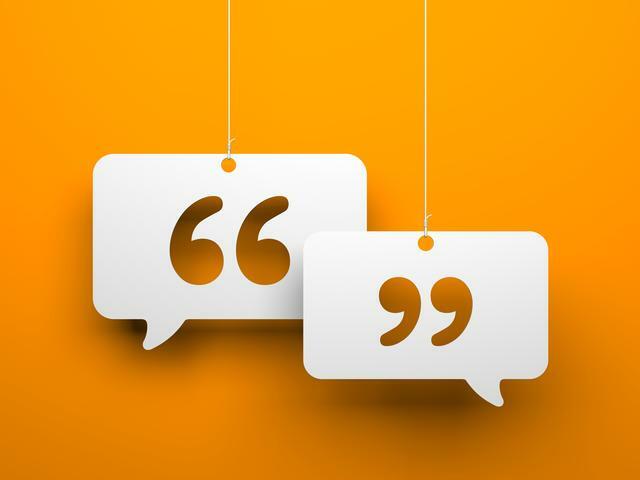 Current mobile solutions support collaboration and drive in better data capture and compliance, but do not solve the issues with skills not in the correct place. Maintenance staff could contact senior engineers via video conferencing or phone to ask questions. However, there is no way of seeing or even demonstrating or interacting with how a task should be executed. These are airworthiness decisions, after all. Integrating augmented reality with a configuration-controlled solution adds the necessary rigor to remote maintenance tasks. Using smart glasses or a mobile device, engineers can see a real time and interactive demonstration of the repair job right in front of their eyes. These skills can be leveraged anywhere, anytime with the capability of modern mobile technology. When these technologies are integrated with an aviation ERP or MRO solution, the maintenance operator can quickly execute and report repair jobs. The next step has to be developing these solutions to the point where a virtual signoff is considered by airline authorities as safe as a signoff on the tarmac. Augmented reality has a vital role to play from start to finish.